Temporarily removed for personal reasons. Last edited by Footman on Sat Oct 02, 2010 18:18, edited 14 times in total. This is good stuff, nice work! 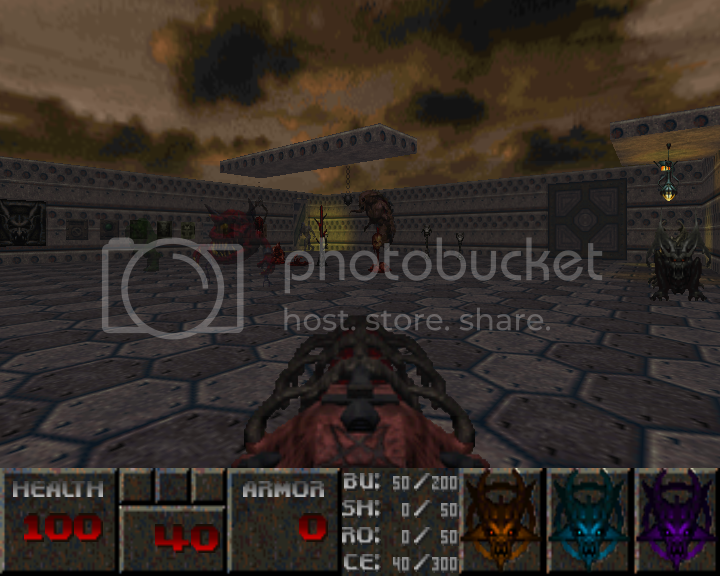 I downloaded these files, and I get the sprites to work in GZDoom and Skulltag, but I can't get the textures (the walls, floors, ceilings etc.) to change. How do you do this? 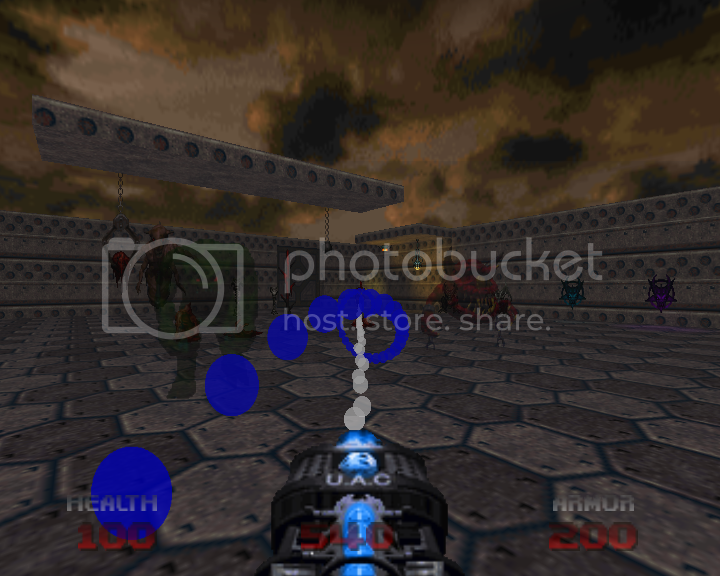 Barry wrote: I downloaded these files, and I get the sprites to work in GZDoom and Skulltag, but I can't get the textures (the walls, floors, ceilings etc.) to change. How do you do this? It's not a texture replacement. It's a pack for mappers to use. 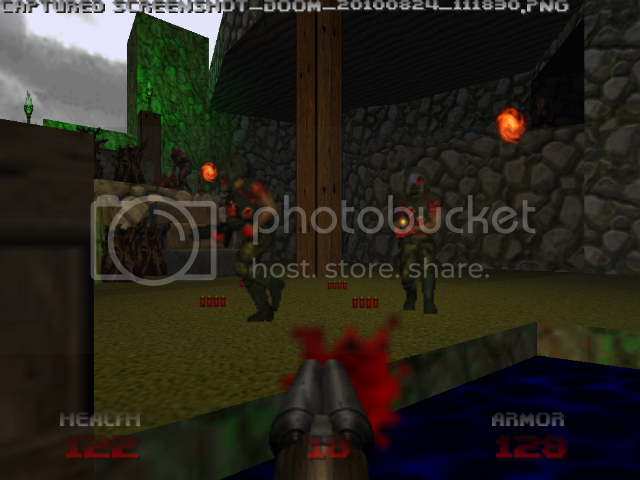 with the Doom 64 sprites, textures, etc. 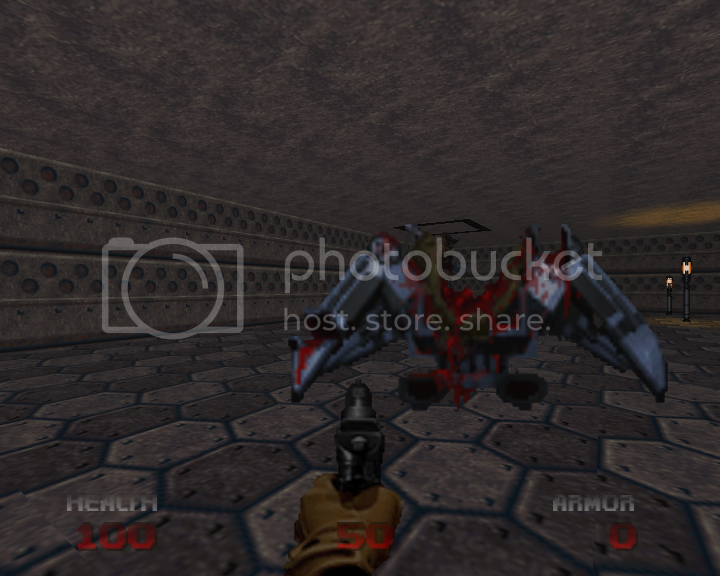 (Or it might just look like Doom 64 textures). I know it doesn't really make sense to do it, but to me it is just fun. You can see the 64 textures used in the maps I included. Firebrand wrote: This is good stuff, nice work! if you want, i can give you. No need. The sprites in my packs are taken directly from the rom. 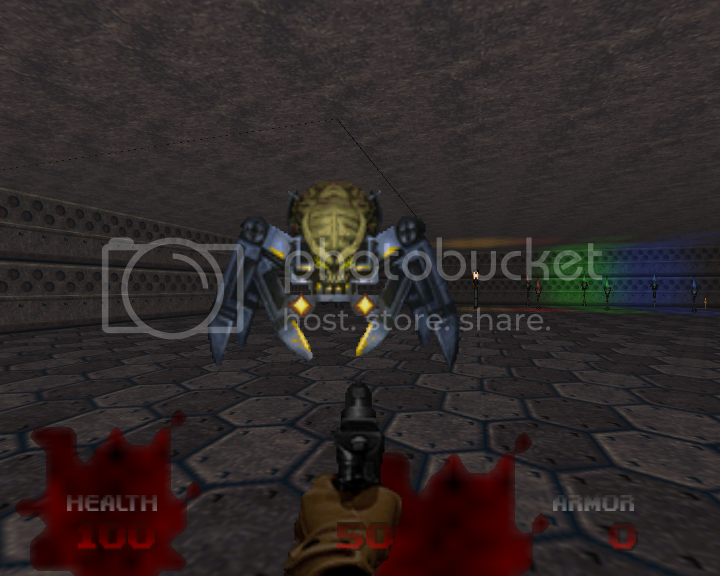 Teaser screenshots of the next version. New Status bar, plus Nightmare Caco and Nightmare Spectre. Update released. See first post. Another update released. First post has the details. Screen of the new chaingunner. Footman wrote: Screen of the new chaingunner.